Have you been charged with underage DUI? Have you consulted a Tucson DUI attorney? Underage drinking and driving may result in disastrous consequences, such as the loss of your driver’s license, jail time, the imposition of fines, probation, and the potential serious injury or death to the driver and/or anyone else involved in the drunk driving incident. 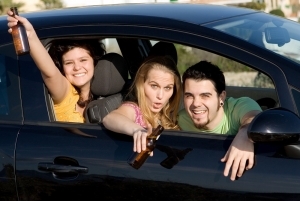 The state of Arizona has a zero tolerance policy when it comes to underage driving under the influence (DUI) charges. Any underage individual (less than 21 years old) facing a DUI charge is subject to some form of penalty. Depending on how experienced and dedicated your attorney is, you may be able to reduce the seriousness of the consequences you or your loved one may face. The Scottsdale DUI Defense Attorneys of AZ Criminal Defense Group, PLLC handle underage DUI charges on a regular basis, and have the resources to provide you with the representation you need and deserve. Under Arizona law, the standard blood-alcohol content (BAC) of .08% is the limit that gives rise to a DUI charge, and this is pretty uniform across all states. However, when it comes to underage DUI charges, Arizona eliminates the BAC from the equation and only focuses on whether or not an underage driver had even the slightest amount of alcohol or drugs in his or her system. No impairment is required to be charged with, and potentially convicted of, driving under the influence. In the state of Arizona, it simply does not matter what an underage individual’s BAC level is. Given the zero tolerance policy of Arizona when it comes to underage drinking and driving, it is important that you consider contacting a Scottsdale Underage DUI Defense Attorney right away in order to explore your options and get the criminal matter resolved in the most efficient and fair way possible. With the assistance of AZ Criminal Defense Group, PLLC, many clients are able to avoid jail time and other very harsh penalties, however, every situation is different, and each client deserves an individualized plan that will suit his or her rights and interests. In addition to charging underage individuals with driving under the influence for even a trace amount of alcohol in their system, the state of Arizona is especially harsh on underage drivers who have a BAC of .08% or greater. If you are underage and your BAC is measured at .08% or greater, you may be facing both an Underage DUI and a DUI charge that adults face. Further, if the conduct in question is severe enough, you may even be charged with aggravated DUI, and this is something that no underage individual wants to face. Facing a DUI charge as a minor is a frightening experience that no parent wants his or her child to go through. Most underage individuals are able to overcome DUI charges and move on with a clean slate, however, in order to reach this goal, it is imperative that you have a highly skilled Scottsdale Underage DUI Defense Lawyer standing by to advocate on your behalf. Don’t ruin your future by facing an Underage DUI charge alone. The Tucson DUI Defense Lawyers of AZ Criminal Defense Group, PLLC have helped numerous clients successfully resolve their Underage DUI charge. Our attorneys are available 24/7 to help you with your criminal matter, and when calling our office, you will be immediately directed to one of our attorneys.